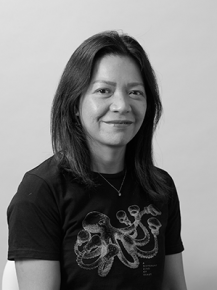 Bang as she is known in the network and industry has been doing this for the past 26 years with stints in Leo Burnett Philippines before moving to Lowe, formerly Lintas in 1994. Bang has spent most of her time in Lowe handling Unilever in local and regional roles. She set up the Regional Advertising Center for Unilever Deodorants and ran that for 5 years. In 2006 Bang took on the role of Vice President for Brand Planning in Lowe Manila and built its reputation as a planning power house in the Philippines and in the Lowe Asia network. Her category experience spans FMCG (Unilever Personal Care , Johnson & Johnson Baby, Procter & Gamble, Berli Jucker), Health & Wellness brands (UNILAB Philippines, Cerebos) Real Estate, Food & Snacks ( Monde Nissin, Unilever Foods) and hospitality and travel ( Shangri-la Hotels, Air Philippines, Thai Airways) Banking & Finance ( Krungsri Bank, Bank of the Philippine Islands), Automotive (Volvo & Mercedes Benz), Retail ( 7 Eleven).